Horizon Education Centers is Accepting Donations. Our supporters have become part of a network of the companies and individuals who donate their time and resources to Horizon Education Centers. We thank them for their gifts and we are privileged to put their compassion into action. To make a donation, please contact our Finance Director, Judy Woehrman at 440-779-1930. 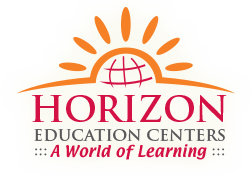 You can also support Horizon Education Centers by starting your shopping on AmazonSmile. Tax-deductible if donor itemizes deductions. Up to 50 percent of adjusted gross income can be deducted in any one year. Excess can be deducted over the next five years. Actual savings depend on tax rate. The higher the tax rates the greater the savings. Payable over a three- to five-year period. Deductible in the year a payment is made. Takes advantage of programs offered by many employers. Leverages donor's gift to a higher level. If qualified as a long-term capital asset (a year and a day), property should be given outright. Avoids payment of capital gains tax due if property was sold. Deduction given for full value of property, limited to 30 percent of adjusted gross income. Excess beyond 30 percent can be carried forward for five years. Donor sells the property, takes loss for tax purposes, and then contributes the cash received from sale. Deduction given from both the loss and the charitable gift. Possible for donor to make gift of residence, farm or vacation home, reserving right of occupancy as long as donor and spouse live. Irrevocable gift qualifies for immediate tax deduction based on present value of remainder interest. Assign directly to Horizon Education Centers or, preferably, transfer through broker. Amount of contribution is fair market value on the date of transfer. Produces a current tax deduction equal to fair market value of the stock. Corporation may redeem shares of the stock from Horizon Education Center. Could reduce liability for accumulated earnings tax. Provides a fixed income for the lifetime(s) of one or two annuitants. Amount paid determined by rates recommended by American Council on Gift Annuities. The older the annuitant, the higher the level of income. Portion of gift and income are tax deductible. 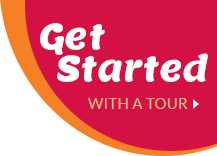 Offers increased income and tax benefits. All basic features and benefits of a gift annuity. Income delayed until future date chosen by donor. Rate of return and tax deduction dependent on length of income delay. Operates much like a mutual fund. Contributions pooled and managed by investment advisors. Income paid to donor and second person, if desired, until beneficiaries are deceased. Income fluctuates based on earnings of fund. Immediate tax deduction for portion of gift. Avoids capital gains tax if appreciated securities are given. Gifts to Pooled Income fund are irrevocable. Trust assets are funds or property contributed by donor (usually $100,000 or more). Flexibility in type of property that can be donated. Real estate and municipal bonds may be used. Donor provides assets for use for a limited period of time. Funds are invested to provide income to Horizon Education Center. Assets returned to donor or to estate at end of designated period. Can fulfill a pledge while reducing estate and gift taxes which might otherwise be due on assets given outright to heirs. Protects inheritance interests of heirs. Contributes assets to Horizon Education Center either outright or through planned living vehicles. Using resulting tax savings, donor purchases a life insurance policy with heirs as beneficiaries. Make Horizon Education Center sole owner and beneficiary of paid-up policy. Receive income tax deduction for the cash surrender value of policy. If policy not fully paid, continue to pay premiums. Receive tax deduction for annual premium amounts. Outright bequests, as well as certain bequests in trust, are not subject to estate taxes. Actual cost is less than face value of gift because of tax benefits to estate. Bequest of a dollar amount of particular securities or other property. Residual bequest of all or portion of estate after payment of specific amounts to other beneficiaries. Contingent bequest to take effect if other beneficiaries die before the donor. A bequest can often be arranged simply with the addition of a codicil amending an existing will. Donations and gifts are designated to a Center, Activity or Geographic Area. General support gifts are also encouraged. Horizon is a 501(c)(3),educational organization under 501(a) of the IRS code. All contributions to this organization can be tax deductible to the full extent of the law.